Laptop’s USB ports are prone to quick damage due to over usage. A laptop has basically 2-3 three USB ports out of which one or two ports may be USB 3.0. The USB 3.0 port is extremely useful while transferring data at high speeds. The laptop’s USB ports are prone to damage because of device connection and disconnection again and again within a day. If this situation continues then the USB receptacles on laptop start to malfunction because they get loose overtime due to usage. If the port permanently fails then it needs to be changed and it is not an easy job to replace it. It is one of the costly method to get it changed also if you are submitting your laptop to your laptop manufacturer for repairing then it will take at least one week to get it repaired. So to avoid this situation we have to minimize the usage of the USB ports also you can preserve at least one port so that it will stay alive until your laptop fails completely. I am going to tell you some tips to extend the life of the laptop USB ports. 1. No USB Hubs : Say NO to USB hubs because they use a single port to power many USB devices. This situation is like connecting many pen drives in one port. This can heat up the port and eventually it can fail. 2. Use Wireless Mouse : A wireless mouse comes with a USB nano receiver which needs to be connected to any of the USB ports of laptop. This nano receiver wirelessly receives signals from mouse. The wireless works exactly the same way as a wired mouse. After connecting the nano receiver you are actually preserving the USB port because the nano receiver can be left connected to your laptop everytime, this will prevent the connection/disconnection as you do in a wired mouse. Also the nano receiver will prevent dust from entering the port. This USB port will work until the laptop stops working. 3. 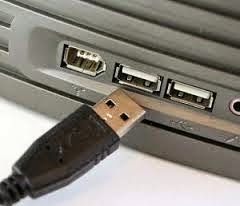 Use USB Extension Cable : If you your laptop has only two USB ports then you should use a Extension cable. Just plug the cable in laptop-USB-port, now on the other end of wire you can connect/disconnect any device multiple times. This wire eliminates the wear and tear on the laptop’s USB ports and takes the damage itself. 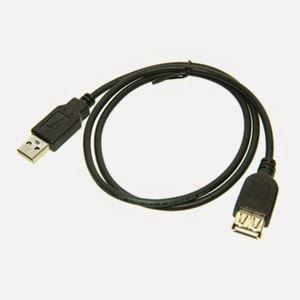 Because it is much cheaper and easy to buy a USB extension cable rather than buying and replacing a USB receptacle. 4. Cleaning : Keep the USB ports clean and remove any dust.